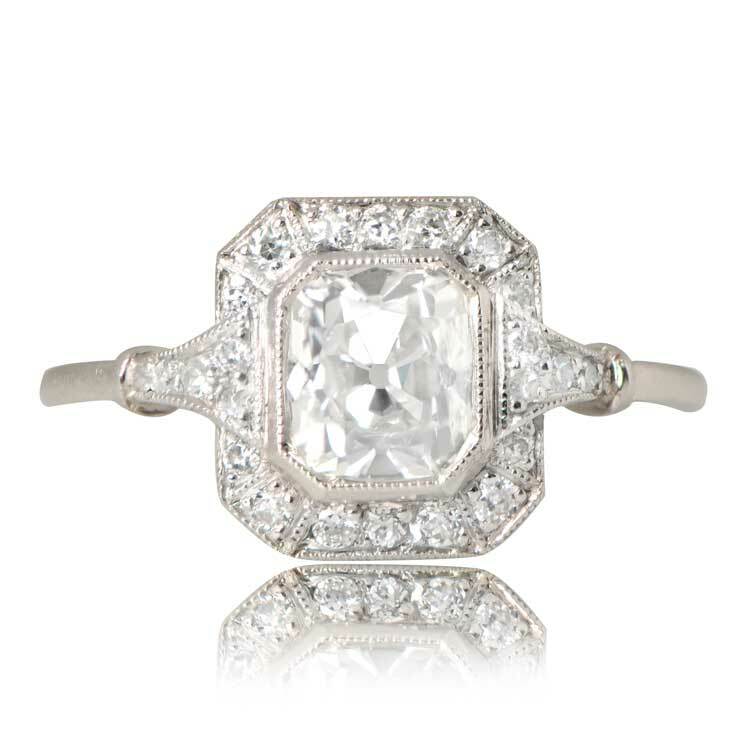 A halo style engagement ring that centers a GIA certified 0.99 carats antique cushion cut diamond, H color, and VS2 clarity. A halo surrounds the center diamond and two triangles flank the shoulders. 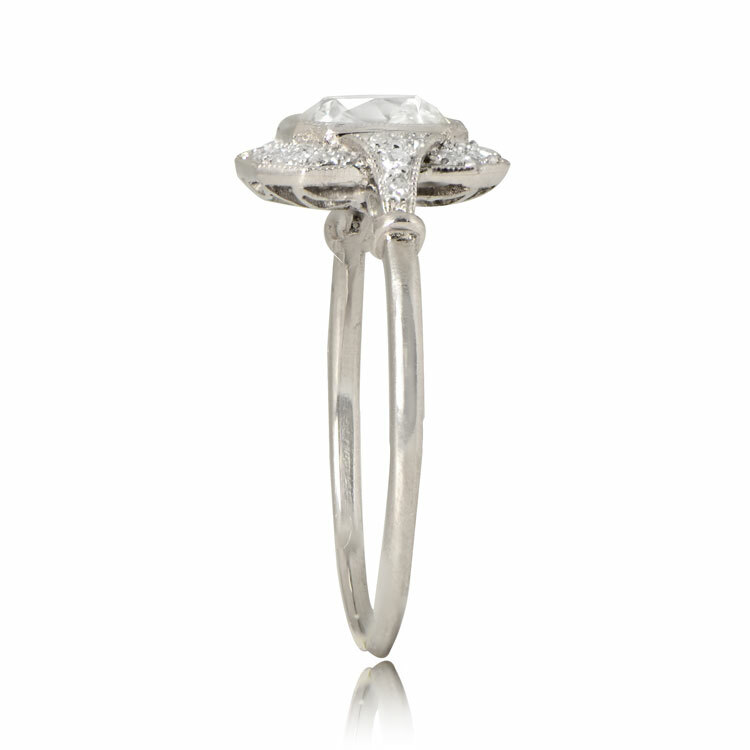 This platinum ring features a decorated under-gallery and this ring has a low profile. 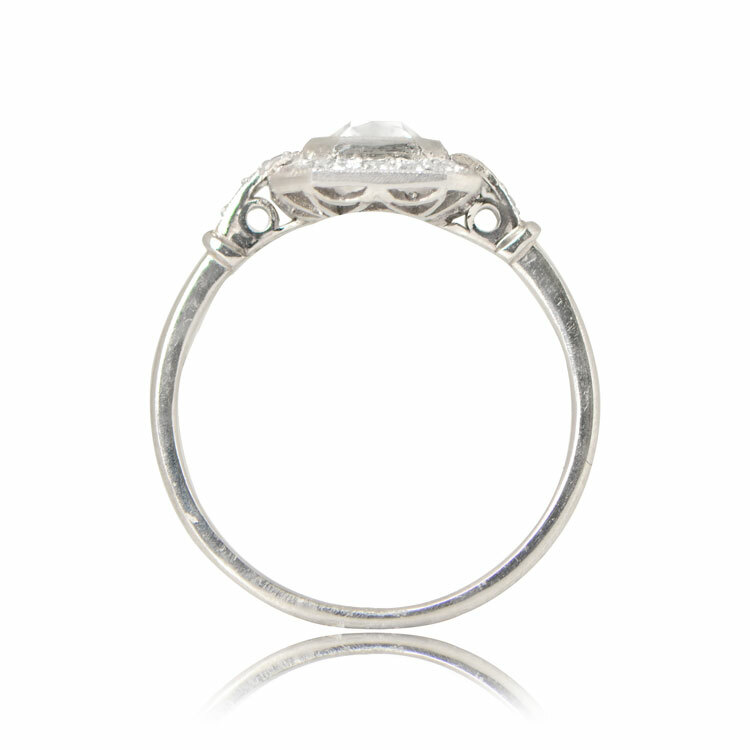 The measurements of this ring with the diamond halo are 10.00mm x 9.06mm. 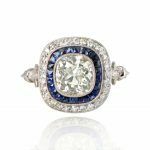 If you have any questions about our Marino Ring, please feel free to contact us. 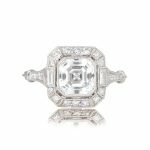 SKU: 12157 Categories: Cushion Cut Engagement Rings, Vintage Engagement Rings - Contact us and request additional pictures.